Anyone who has traveled to our friends in the Pacific, Papua New Guinea, Fiji, Vanuatu, the Solomons, Tonga, Samoa, The Cook Islands and all those other wonderful Islands can’t miss the Island Long Boat. These boats do everything from the utility boat on the mighty Fly River of Papua New Guinea to the tourist transports for the Fiji Islands. The history of the long boat is interesting and varied. It is based on the Panga – a World Bank project from the 1970’s. 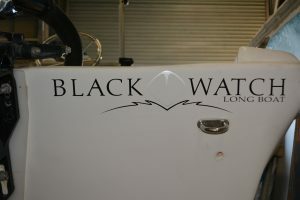 Black Watch has modernised and improved on this design with modern laminates, Australian Survey Standards and positive flotation. The vessels are now safer, faster and more fuel efficient and incredibly durable. The old style Panga had many wonderful attributes but sadly in a crisis would sink stern first. This has resulted in countless deaths throughout the region. Black Watch with the support of the Government of Papua New Guinea and the provincial governments and other Pacific nations, are proudly rolling out the new unsinkable version. 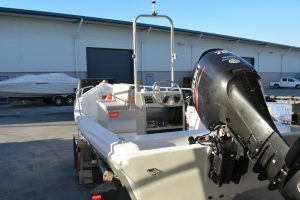 In addition to the functionality the vessels proudly display the provincial flag and national flags sprayed into the gel coat with artwork from bow to stern for the Pacific Island Market. 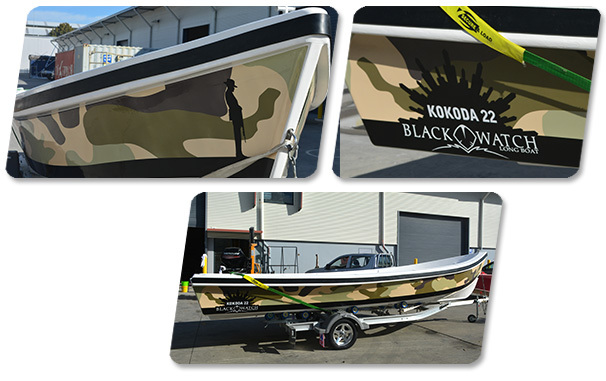 Currently, the factory is building long boats for the Papua New Guinea Government. 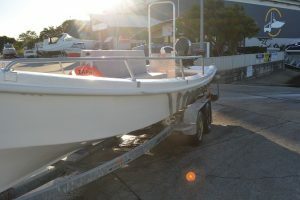 We also have under construction a base model centre console version of this vessel for those of you who would like a centre console without the price tag. This vessel will have a floor, with the fuel tank inside the console, steering and whatever other features you may wish to include. 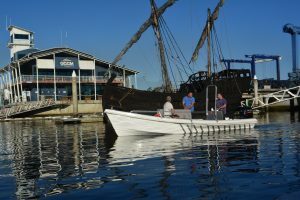 Running strakes and keel incorporating the best features for a surf boat or rough water and the long boat for smooth running. 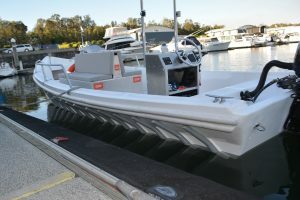 Naval Architect innovative design with unique double hull and gel coat interior.